This novel seems to give the general populace quite a bit of grief. Let's see if I can help sort things out. Franny has a crises of faith, in God, in man and in herself most of all. 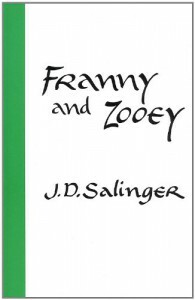 Zooey, who possesses the least faith in God, man, and all too much in himself helps her back on track. How poetic that the one sibling with the least faith in the universe has the most faith in his own sister. Never count a quality, dysfunctional family as a bad thing. It will always surprise you.